WNY Lawn and Landscape has been serving Orchard Park for more than 10 years! We have been serving Orchard Park since 2001. If you are in need of our lawn care, lawn service, landscaping, or landscape design, please call us today (716-444-3859). The image to the left is an example of some of our work in Orchard Park. This was a job for the terrific restaurant "Buffalo's Best Grill". 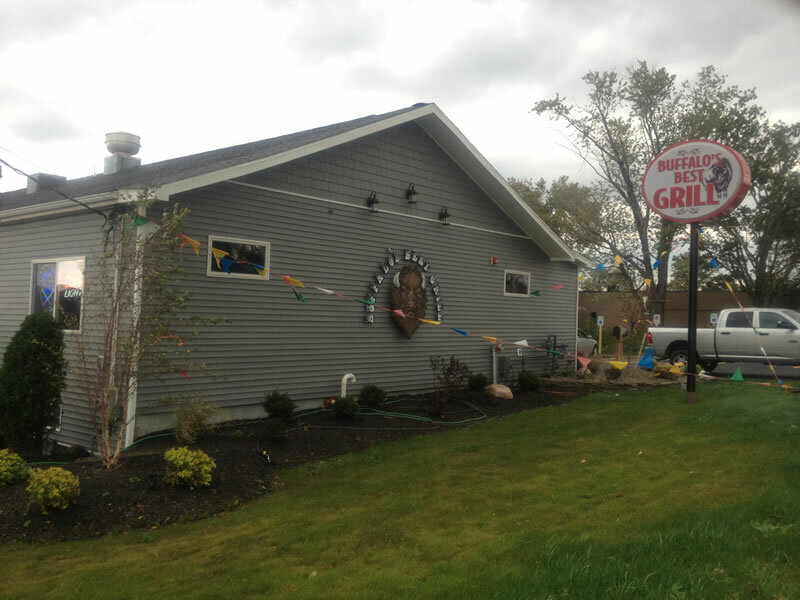 Buffalo's Best Grill is located at 3700 Southwestern Boulevard, OP, NY. Please stop by and take a look at our landscaping and landscape design work today. Our company is professional and reliable. Our crews are considerate and clean and will handle your landscaping project unitl we exceed your expectations. Contact WNY Lawn and Landscape today to schedule a free consultation or to request a free landscaping estimate.